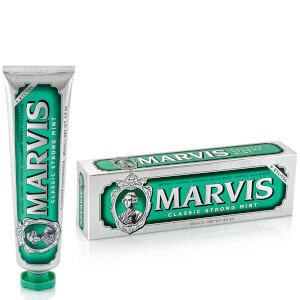 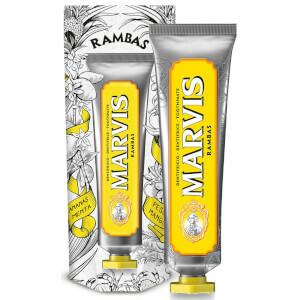 Transform your smile and teeth-cleaning ritual with the Whitening Mint Toothpaste from luxury Italian toothpaste brand Marvis; a refreshing, creamy teeth-whitening toothpaste in an cool mint flavour that whitens and protect teeth while freshening breath. Developed to keep teeth and gums healthy whilst preventing decay, the toothpaste utilises gentle a xylitol and sorbitan-based formula to cleanse and condition the teeth without irritation. 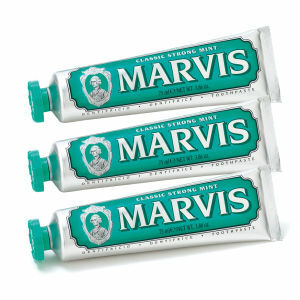 Experience luxurious and contemporary oral hygiene.